Have you heard, D.C. residents? D.C. has joined the ranks of metro areas such as Seattle, New York, Amherst, Albany, Portland, and San Francisco (among other Bay Area cities) that have imposed citywide bans on those pesky plastic cups and containers. 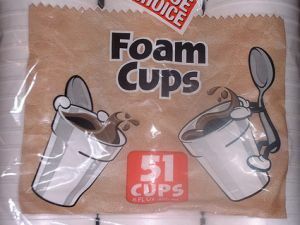 Pretty soon, you won’t be using these for your morning coffee. This past week, City Council voted to pass an environmental bill proposed by Mayor Vincent Gray last fall. Within this bill was a ban on all plastic foam containers used in businesses and restaurants. According to the bill, businesses will be required to swap out their plastic take-out containers for compostable or recyclable ones. Polystyrene foam, often called Styrofoam by most people (in reality, Styrofoam is just a brand of plastic foam), has been under scrutiny for years as a money-sink and an environmental hazard. The foam sits in landfills for hundreds of years, and can only be recycled if it’s totally clean of all food residue. 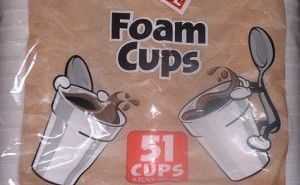 And according to Resourcefulschools.org, Americans use 25 billion plastic foam cups every year. Additionally—and as anyone with antsy fingers could tell you—plastic foam breaks up into small pieces. This has been a danger to many city animals, like birds and fish, who confuse the tiny pieces for food, eat the plastic, and then can’t digest it. This ban on plastic foam won’t come into effect until January of 2016, and food and beverage outlets in the area are required to make the switch to more eco-friendly containers by 2018. Add this to the 5-cent tax on paper and plastic bags imposed in 2010, and D.C. is making clear steps towards a more sustainable future. First, though, we’ll have to watch D.C. city legislators this July as they make the second and final vote on the bill that includes plastic foam products. But because it passed the first time with zero debate, it’s likely to pass again. D.C. residents, be proud of your city, and get ready for Styrofoam-free purchases! UPDATE, 7/15: It’s official! DC has gone styrofoam-free– it passed its second vote yesterday! For more information, check out our map of cities and counties that have also banned plastic foam. And check out this amazing Infographic about the environmental problems associated with Styrofoam.